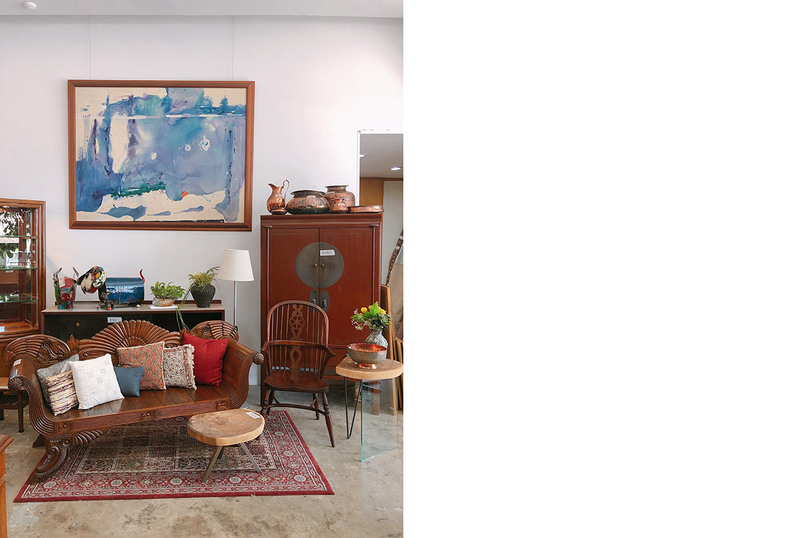 For people in the know, Hock Siong & Co. is the address to go to score quality secondhand furniture at affordable prices. Whether you love colonial-period furniture or mid-century modern pieces, the store has something for you. Bryllin Toh, the managing partner at Hock Siong is a second-generation dealer who has helped her father out with the family business since she was a child. The millennial has tapped into her digital skills to bring awareness to the store – and as a result has garnered quite a following with young homeowners. We speak to her on what it takes to give pre-loved furniture a new lease on life. When I was 6 years old, I started to follow my father to collect newspapers and clothing from used items collection points set up by the Town Council at the void deck. As the eldest, I have seen how tough it is for my father to manage the business by himself over the years. Thus, it is necessary right for me to contribute back after graduating from school. Brillyn used social media to reach out to a young audience to share the spirit of recycling. Why is it important to use social media as a marketing tool? After graduating from university, I decided to help my father who was already dealing with used hotel furniture, and the first thing I did was to market our business on Facebook, which was a free and upcoming social media platform then. It was the “free” that enticed me to use social media as a marketing tool! From there, we managed to reach to a wider crowd of customers to share the spirit of entrepreneurial-ship, recycling and snippets of old traditional businesses in Singapore. What are the items that sell well at Hock Siong & Co.? These are usually our upcycled items, one of which is the Pak Awang series of sofas. They are retro looking and we refurbished them in house. We source for the fabric and decide how they should look like. We then send them to Kim Hwee, an upholsterer for the upholstery jobs. 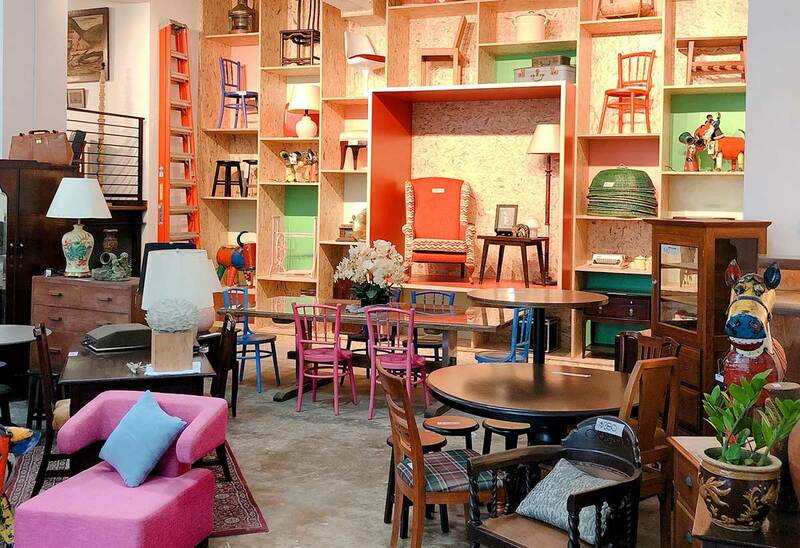 From nostalgic Pak Awang sofas to vintage designer pieces, you’ll never know what you may discover at the store. What were some of the more unique or valuable pieces you’ve sold at Hock Siong & Co.? 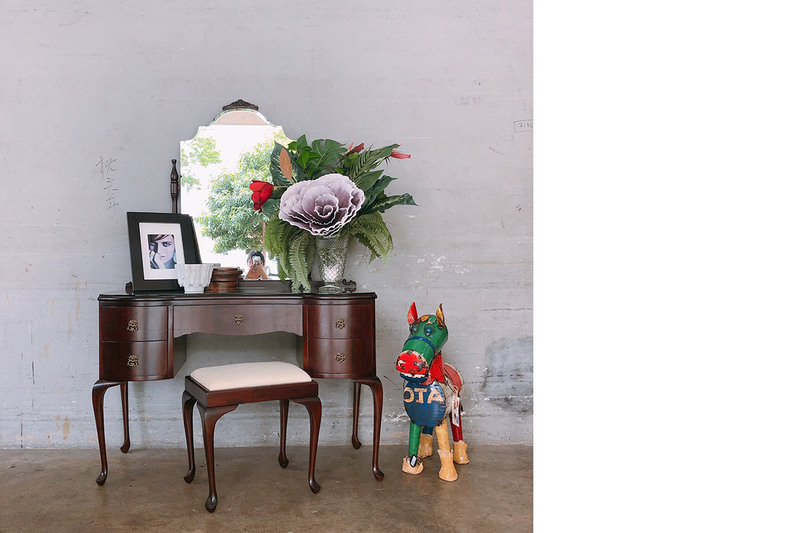 The beauty of working at Hock Siong is that you will see furniture from different origins, be it from modern luxury brands, retro pieces, Chinese antiques or our own local old pieces. Because we are a second-hand reseller and not a manufacturer, items may just come in once and never again. Many years back, we sold two brass lions to a buyer and he shipped them to New York. There was once we even sold an old antique car to a hotel in China! We also had a Raffles Stamford statue that is now placed along Scotts Road. Of course, there are also many beautiful wooden products sold to individuals – things like Peranakan hutches and modern branded furniture. Everything at Hock Siong is sourced in Singapore. Sixty per cent of the products come from hotels and 40% come from private owners. What would you say to homeowners who have yet to purchase pre-loved furniture? Embrace the imperfect! Pre-loved furniture is beautiful because they are full of character. Time gave them this unique character.